We've added a language filter to the content library screen to simplify the ever growing list of supported languages. Clinicians can now easily create more than one order at a time. 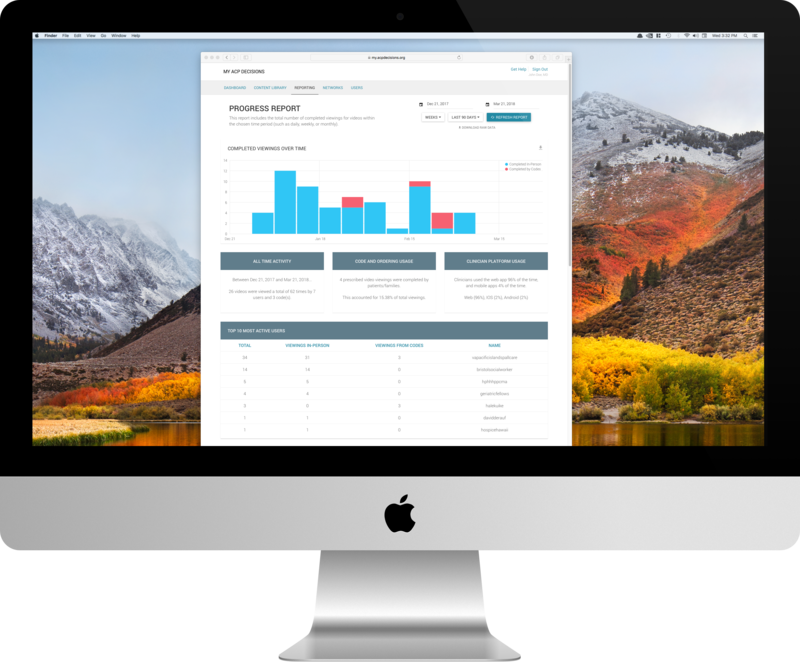 We've upgraded reporting for Clinicians and Administrators. You can now plot your progress over time and download your report as a CSV file. 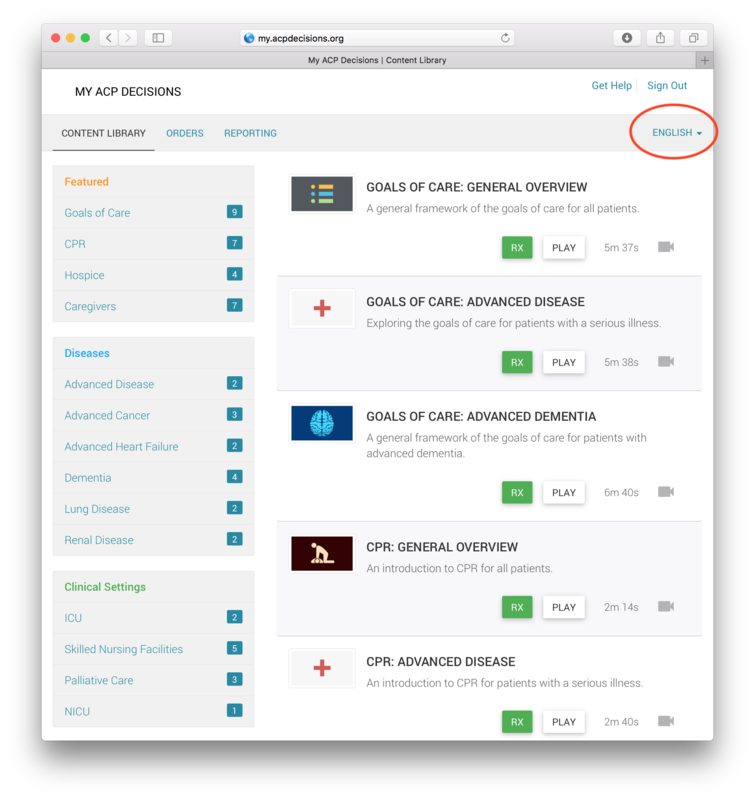 You can now create accounts for clinicians on an individual or shared basis. 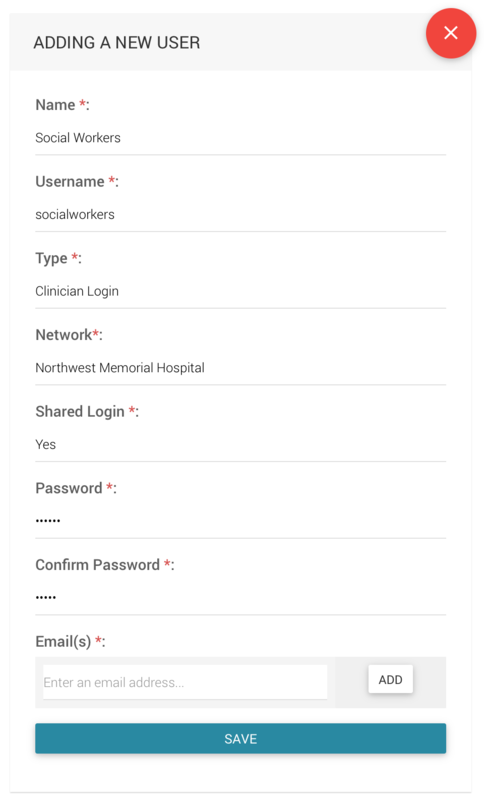 Individual clinician accounts are linked to a single email address and password, while shared accounts are designed for multiple people to use a simple username and password. We've introduced Networks as a way to organize your users. 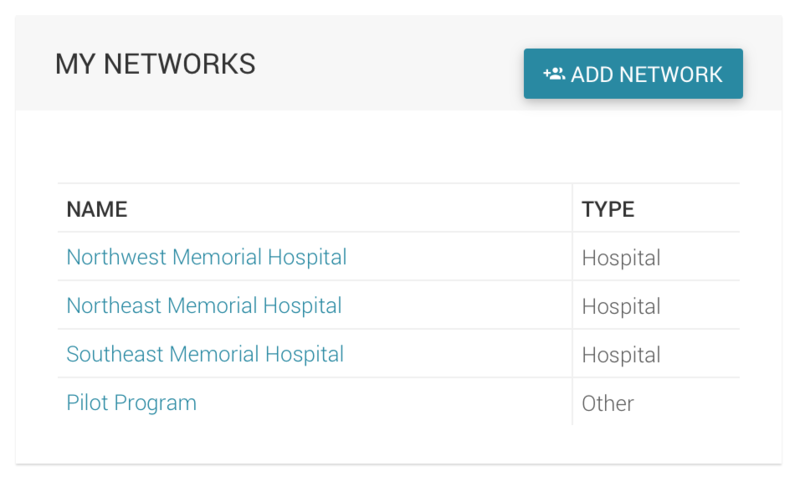 For example, if you wanted to represent multiple hospitals by creating Networks. 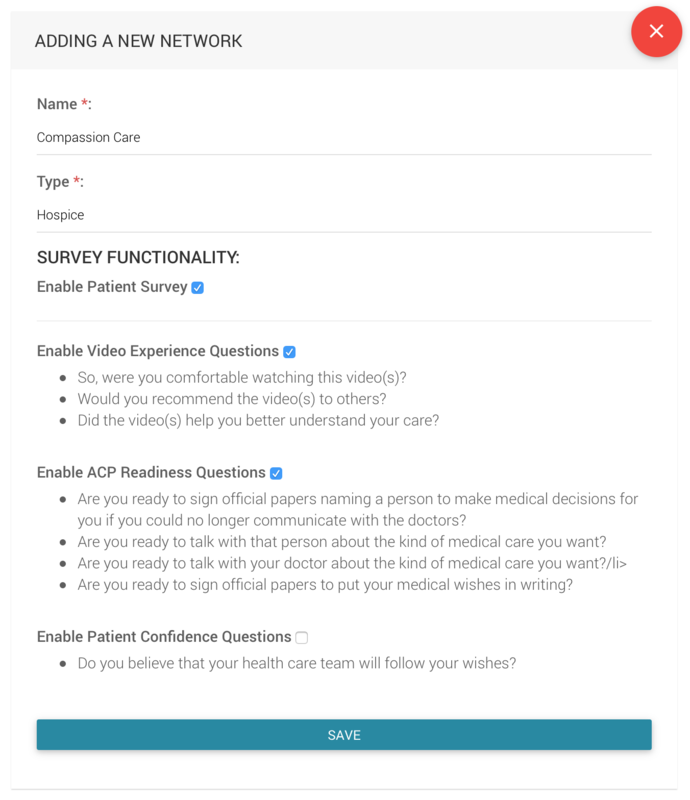 Administrators can enable patient surveys for each of their networks. Survey questions will appear after a patient views the content shared with a code.